No matter if you have 1 tree or 10, regular professional tree care can be a huge help to you. How many trees do you have around your home or business? No matter if you have 1 tree or 10, regular professional tree care can be a huge help to you. Although it’s still winter time and your trees haven’t emerged from hibernation yet, eventually, they’ll wake back up. And even during the winter, they’ll still need looking after. 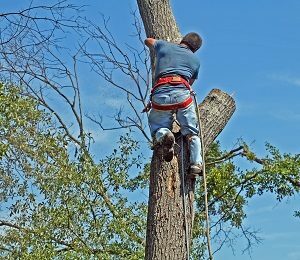 So how can you benefit from regular professional tree care? You can transform your home into a paradise. All you need is attention from a professional tree care service. Don’t let all that potential go to waste! Your home will benefit because it look cozier and more inviting, and you’ll also save money. Make your home the envy of your neighborhood while not having to worry about the health of your trees. Show the trees how much you respect and care about them! Not only can regular tree care benefit your home and business, but it can also improve the look of your yard as well. Health inspectors will require that your trees are well taken care of. Besides, by making sure you have regular professional tree care services on your side, you can prevent your trees from damaging your house’s roof. Don’t forget about the ways trees can enhance the look of your business’s exterior. Employees and visitors alike will be more keen to visit a business that has a well-maintained appearance. Not only will you improve your business’s reputation and prospects, but you can also help make the neighborhood around your building look better too. So make sure the trees around the edges of your commercial property and in your parking lots look great once they bloom again! This entry was posted on Friday, February 9th, 2018 at 9:20 am. Both comments and pings are currently closed.